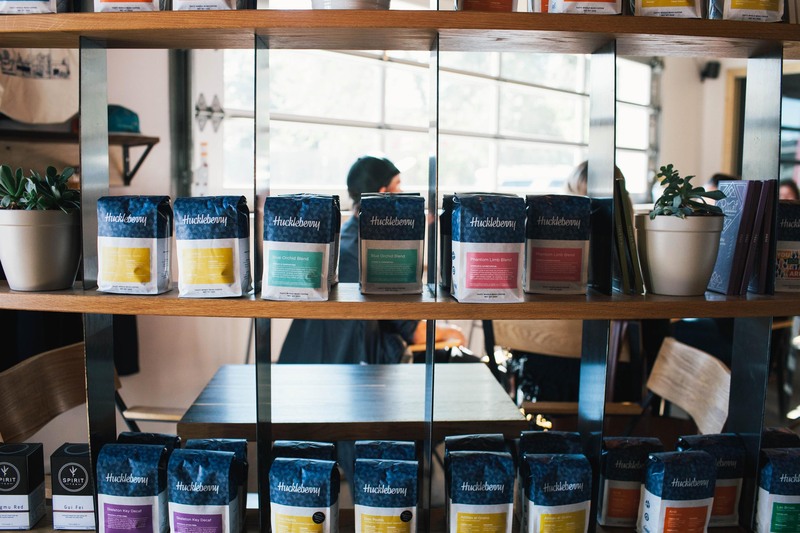 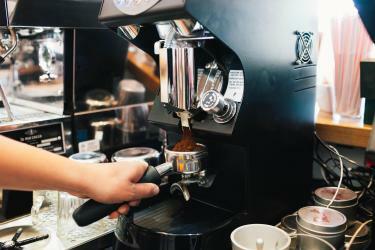 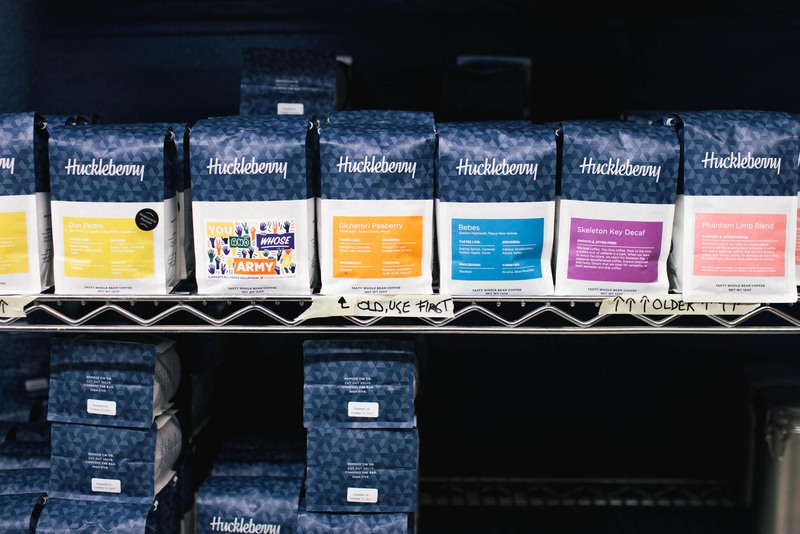 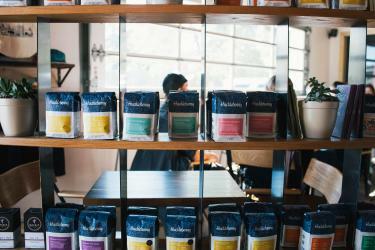 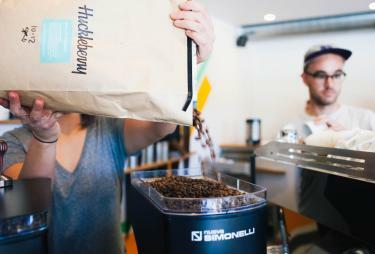 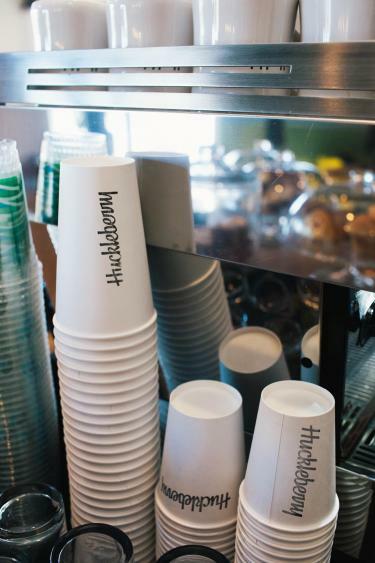 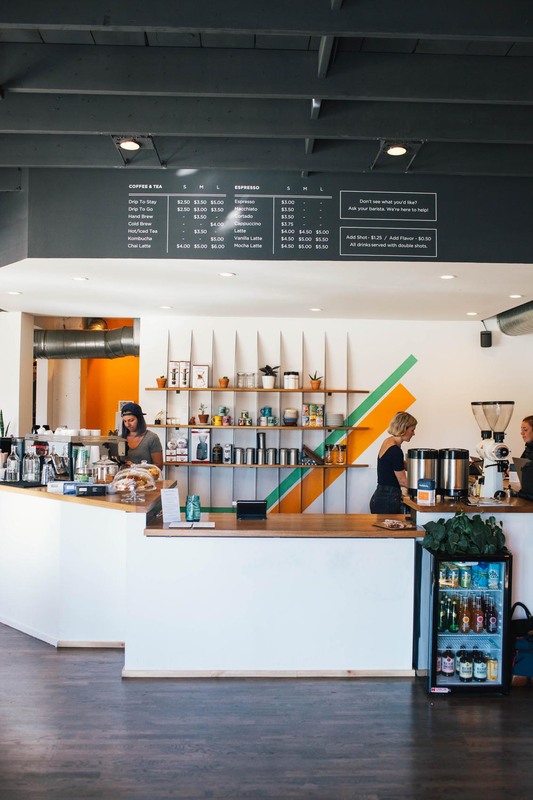 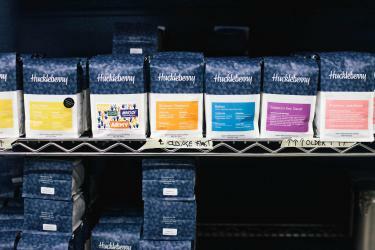 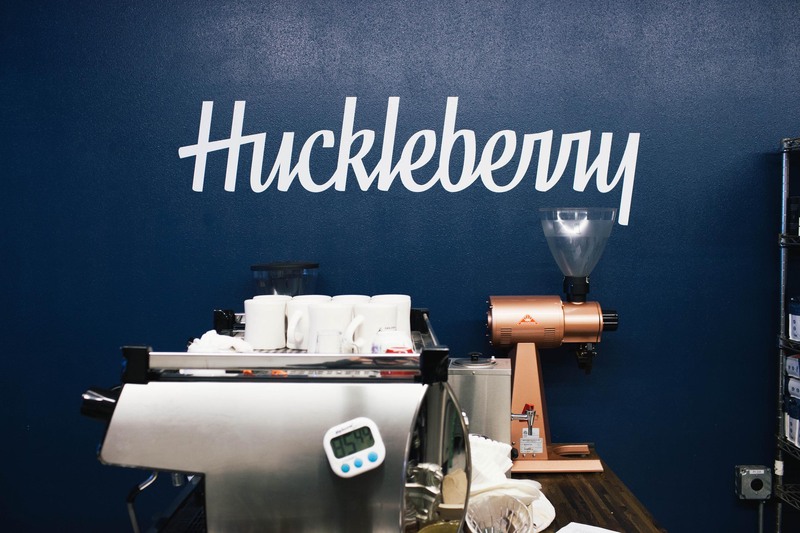 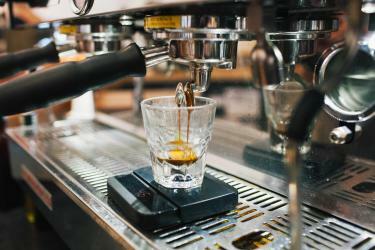 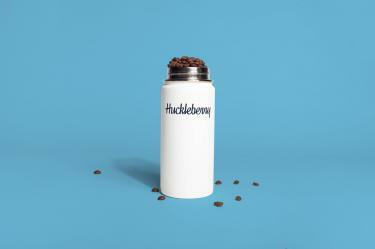 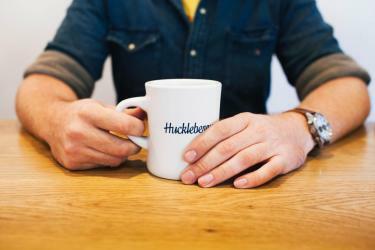 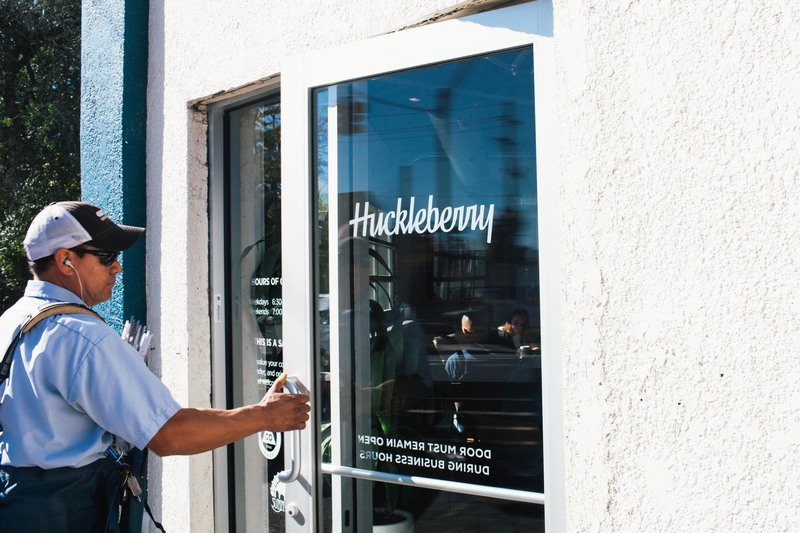 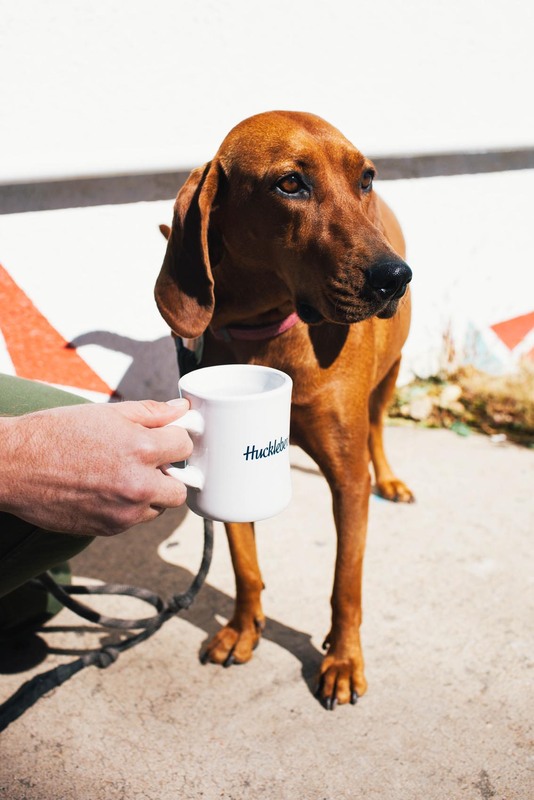 Huckleberry has a simple focus: produce great coffee that doesn't take itself too seriously. 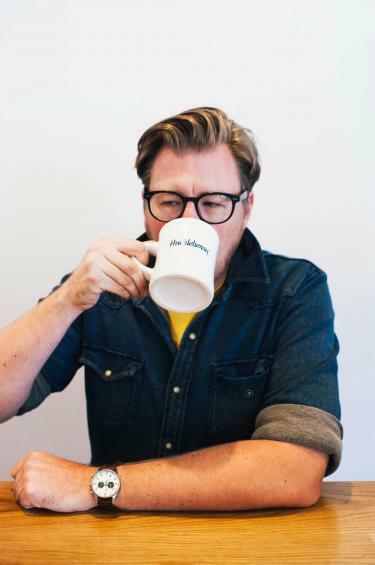 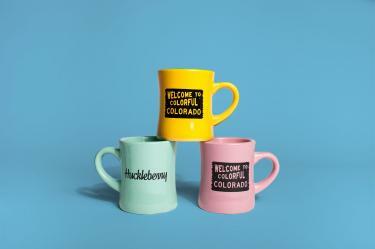 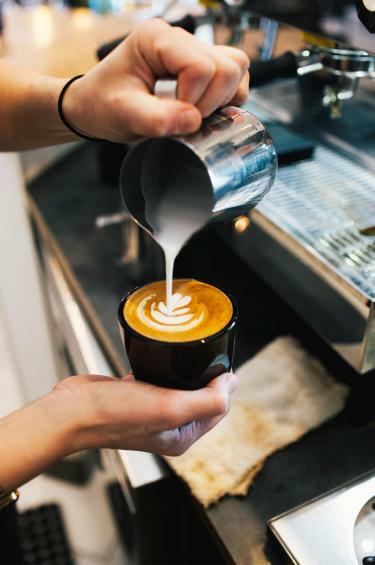 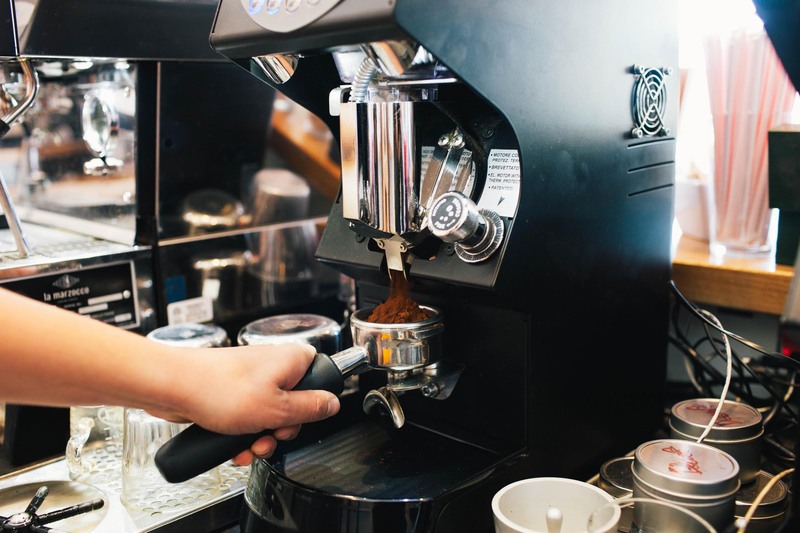 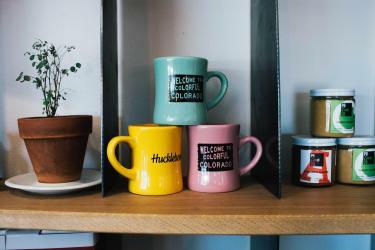 Koan Goedman and Mark Mann started Huckleberry Roasters to create a company that focused on the serious pursuit of coffee, coupled with a laid back approach, making sure to not take themselves too seriously. 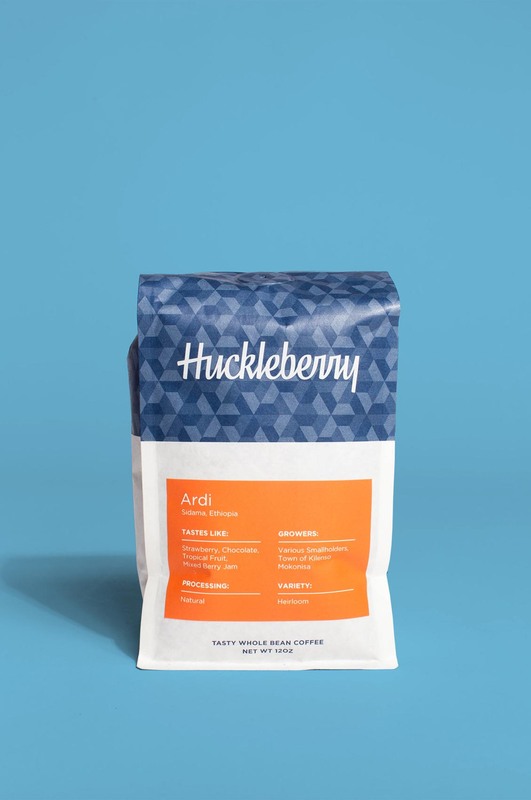 Naming each coffee after their personal musical inspirations is just one example of this. 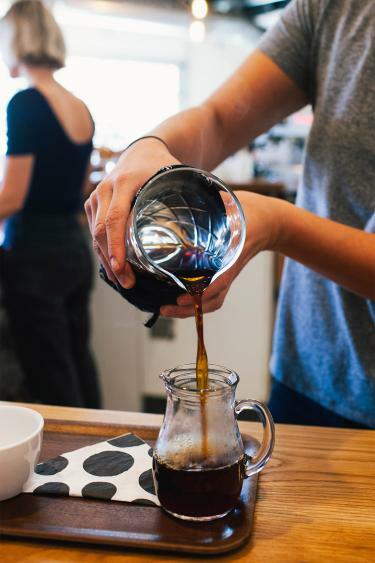 Most important was to produce a great cup of coffee, a friendly environment to drink it in, and a glimpse into their collective personalities. 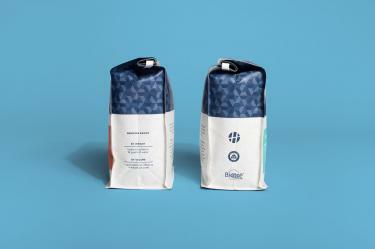 Mast was tasked with incorporating that personality into their new brand and packaging. 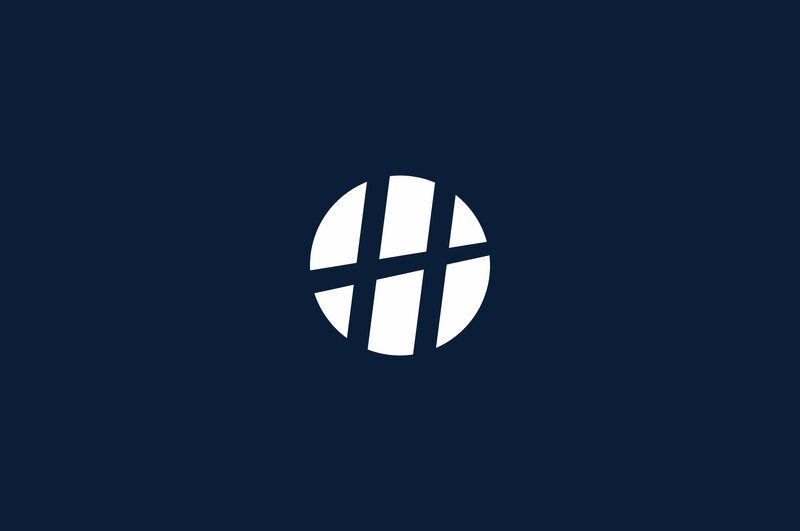 When we were approached to begin redevelopment of the the Huckleberry script they asked to keep one feature in mind — scalability. 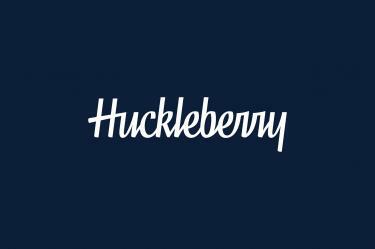 While the previous identity offered exciting structure it’s uniquity and scalability were lacking. 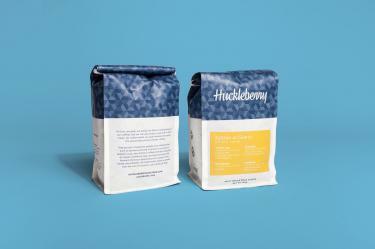 In need of a more universal, subtle, updated wordmark we developed a custom script unique to the Huckleberry brand with a typographic structure heavily influenced by traditional calligraphy. 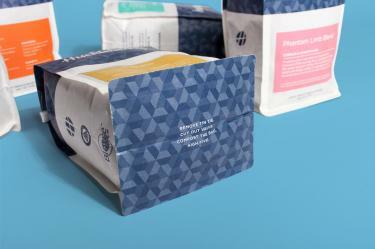 Our result balances bold and thin stroke weights with legible structure that can scale to fit all digital and production media. 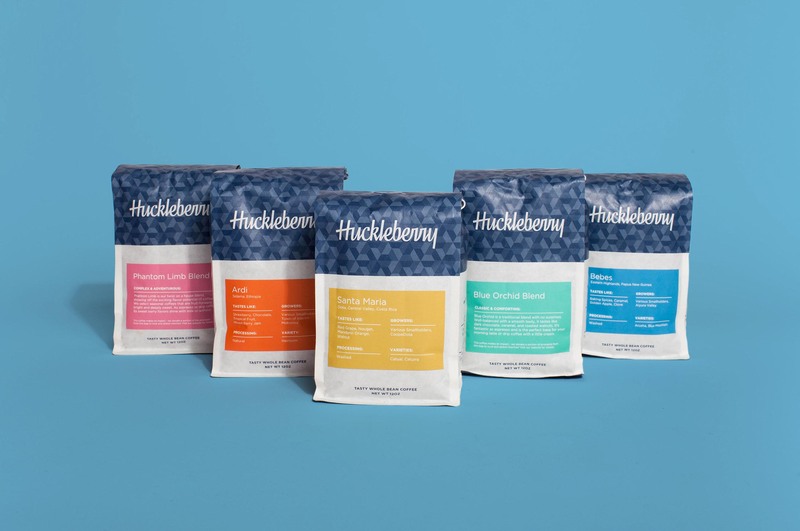 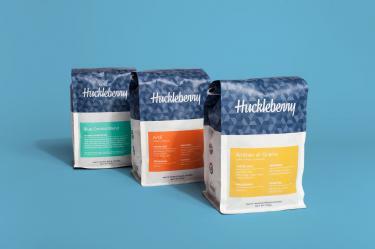 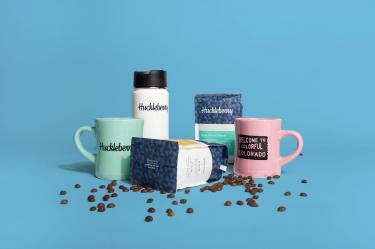 Huckleberry wanted to revamp their brand and move away from their old packaging system which had proved to be a bit confusing. 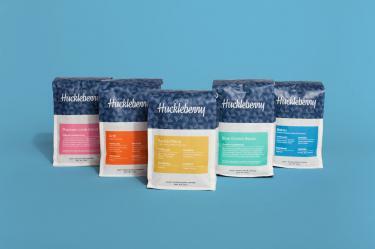 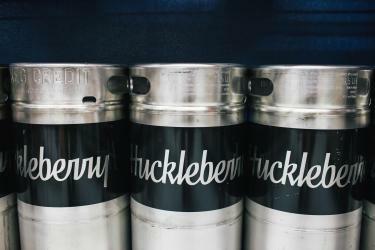 They wanted their new packaging to be indicative of the experience of visiting Huckleberry. 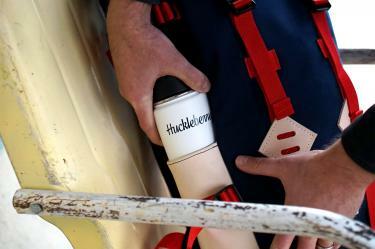 While they don’t take themselves too seriously, they do take their responsibility to the Earth quite serious. 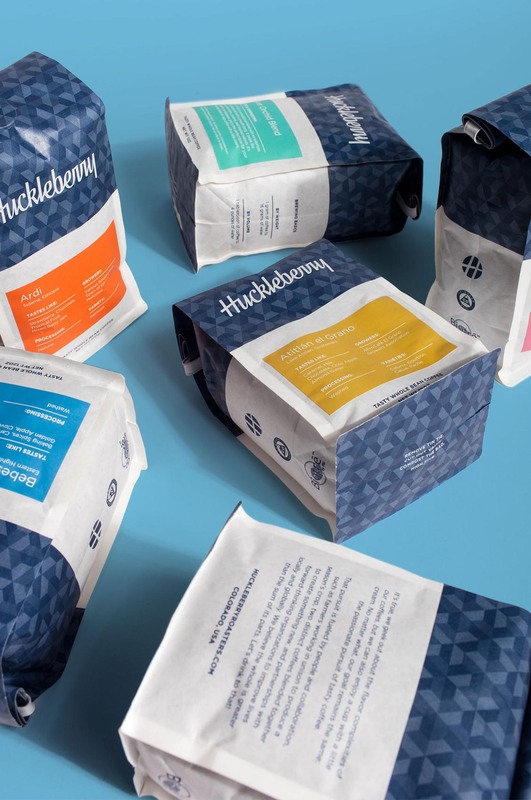 Wanting an update to the brand personality provided a perfect time to transition their packaging to a biodegradable material. 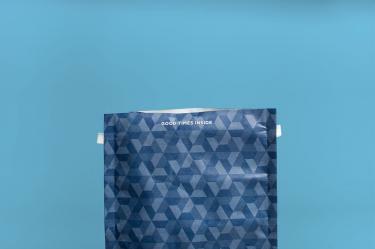 Previous brand materials had often used a hexagonal motif. 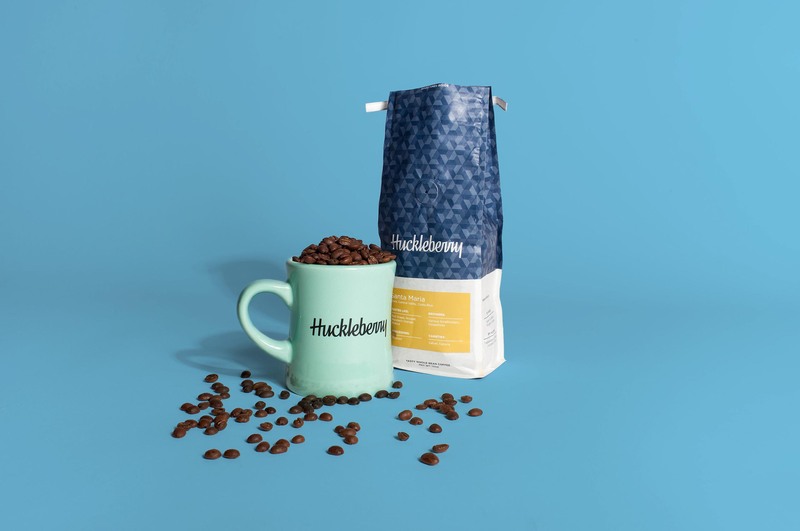 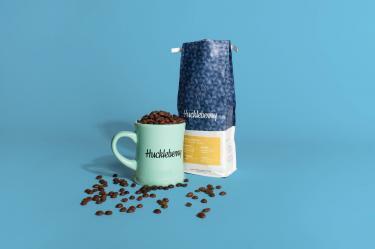 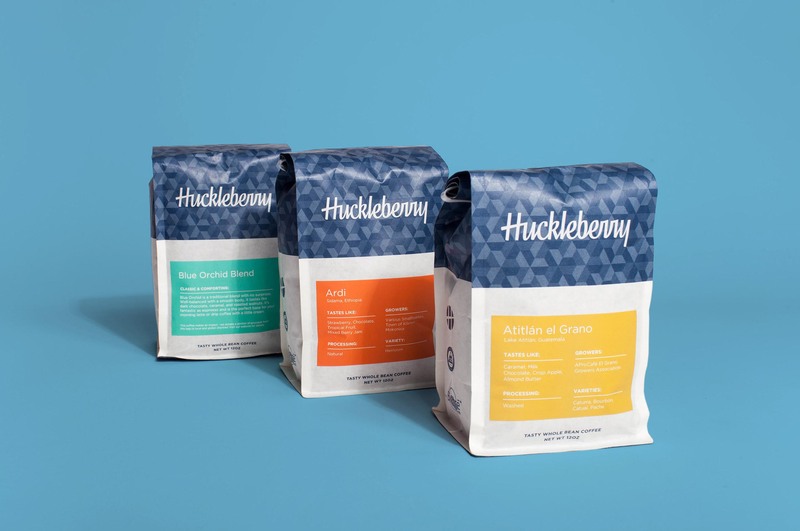 Creating a unique brand pattern gave a stylized, geometric, nod to coffee beans, giving the updated bags a honored nod to Huckleberry’s history. 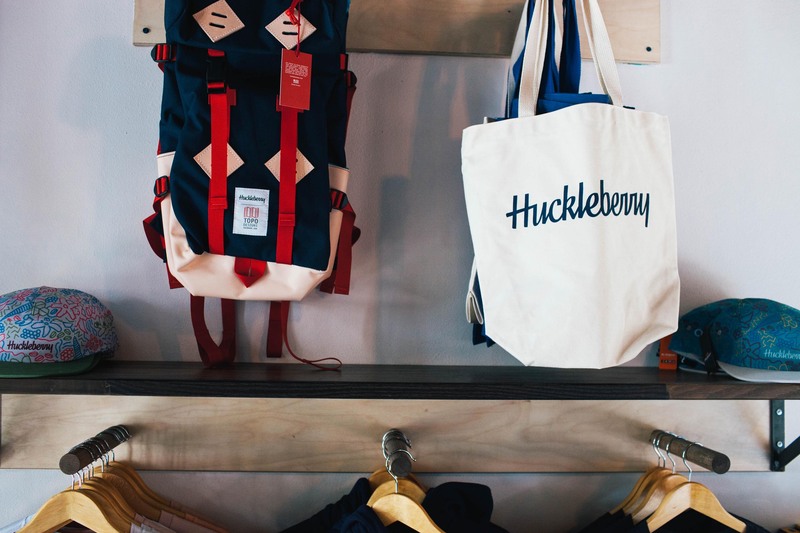 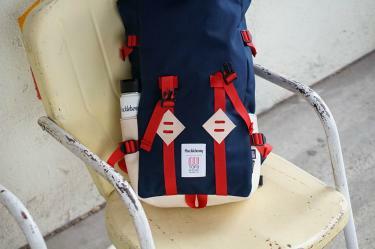 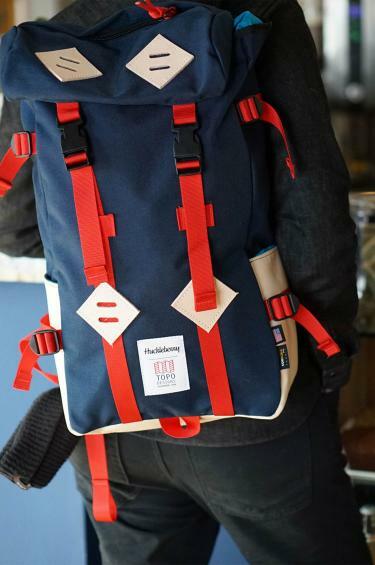 We worked closely with Topo Designs, a Denver outdoor company, to create a custom backpack for Huckleberry. 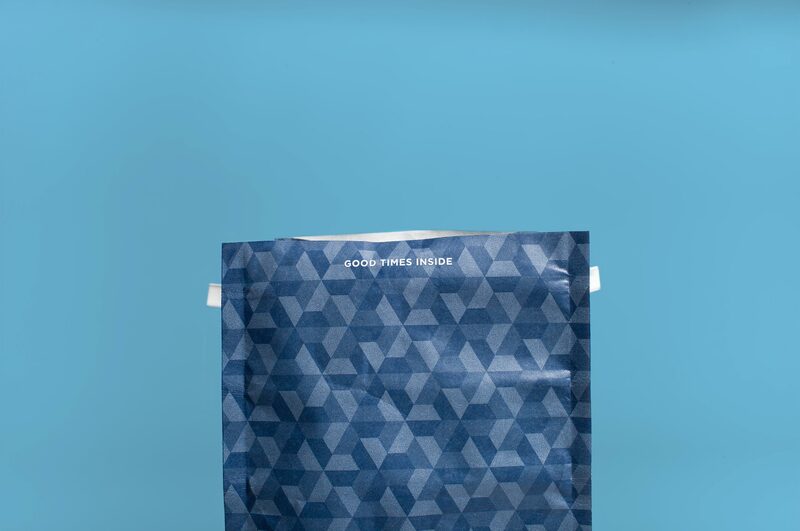 It was important to create a bag that felt like the brand, we scoured over swatches to pick the most authentic combination for the brand.